NCSLMA Read 2 Succeed grants are available to K-12 NCSLMA member media coordinators (certified or provisional) in public or private schools, in partnership with classroom teachers, for innovative projects that foster the integration of media / information skills into the K-12 curriculum. The focus is on individual media coordinators and teachers rather than on district-wide projects. Up to five (5) one-year grants totaling $1,000 each will be awarded. Previous grant winners may re-apply after three years. Click here for Read 2 Succeed Grant Application due May 31, 2019. 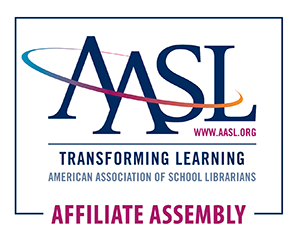 The North Carolina School Library Media Association (NCSLMA) is pleased to offer an Action Research Grant for a school library media coordinator or an advanced library student who is a member of NCSLMA. Applications should include research-based proposals that focus directly on the effects of innovative strategies on student learning in the school library media center. To improve student learning by encouraging school library media coordinators and library school students to implement innovative instructional strategies in the school library media centers. In addition to being a current NCSLMA member, an applicant must be a practicing media coordinator in a public or private school in North Carolina or a school library track student in an approved program. Preference for students will be given to those doing practicum or field experience. Only research-based proposals that focus directly on the effects of innovative teaching strategies on student learning in the media center will be funded. The winning applicant will receive up to $1,000 to cover the costs of books and other resources, supplies, materials, etc. associated with the research project. The grant funds cannot be used to cover stipends, travel, student field trips, or to purchase equipment items costing over $500. Books and other materials purchased with NCSLMA funding will stay in the school where the study was performed. Direct focus on effective, innovative teaching/learning research. Impact: Wide dissemination potential, reproducibility, and applicability to other school library media programs. Cost effectiveness and justification of itemized expenditures. Clear and realistic statement of objectives, implementation, and assessment. Importance of the project to meet the needs of students served. Unavailability of funds from other sources. Complete the proposal cover form, using no more than five additional pages to outline the proposed action research project and proposed budget. These additional pages should include an explanation of the research question and objective of the project, rationale explaining why this research is needed and how the project will meet the needs of the students involved, a detailed description of the how the research will be conducted, a proposed timeline for the project, a budget proposal explaining how the grant funds will be used, a statement regarding the potential impact of this research on both your students and the school library media field, and an explanation of how the outcomes of the research will be evaluated including any assessment tools that will be used in the course of the research (surveys, questionnaires, interviews, etc.). Please see the scoring rubric for information on how each section of the proposal will be weighted. In scoring the applications, we will be looking for evidence that the project has been thoroughly planned and thought out. The application deadline is May 31, 2019. In order to avoid large upfront costs to the grant recipient, the NCSLMA treasurer will mail a check in the amount of the project’s proposed budget made out to the grant recipient’s school after the grant is awarded. It is the responsibility of the grant recipient to complete an expense report itemizing the expenses for the project. This report should be sent to the NCSLMA treasurer after the project is completed and no later than May 30 of the operating year of the grant. The grant recipient will be required to present a one hour concurrent session regarding the research grant project at the NCSLMA conference in the fall following the academic year the grant was awarded. Additionally, the grant recipient will be required to write three posts for the NCSLMA blog, the first detailing the goals of the research, the second being an announcement of the session at conference, and the third being a reflective post to share the results and the lessons learned from the project. The third post will occur after conference. A committee composed of K-12 school library media coordinators and university faculty will review the grant applications and select a winner.